Presenting The Effect of External Influence on the Compositional Process. Jerry Semchyshyn is a multi-media composer whose music has been performed in Canada and the United States. He has received commissions from various organizations including GroundSwell, The Manitoba Chamber Orchestra, and The Winnipeg Symphony Orchestra. 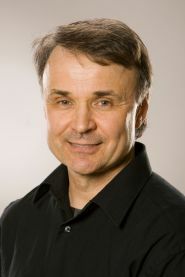 In 2009, Semchyshyn’s chamber opera Poema Letkoho Mista (Poem of Volatile City) was premiered at Prairie Theatre Exchange by The Contemporary Opera Lab under the direction of Mel Braun. Semchyshyn has also been a recipient of awards from the SOCAN Foundation, The Manitoba Arts Council, and The Winnipeg Arts Council.